Sunraysia Community Health Services (SCHS) is a publicly funded health service, in Mildura, Victoria, 550 kilometres north-west of Melbourne. In 2016 we celebrated 40 years in the community, starting in the small township of Merbein, to now offer a large range of healthcare services across Sunraysia. Most of our healthcare is carried out at a brand new, multi-million dollar complex, at 137 Thirteenth Street, on the corner of Deakin Avenue. Our complex has a beautiful view of Henderson Park. You can’t miss us! 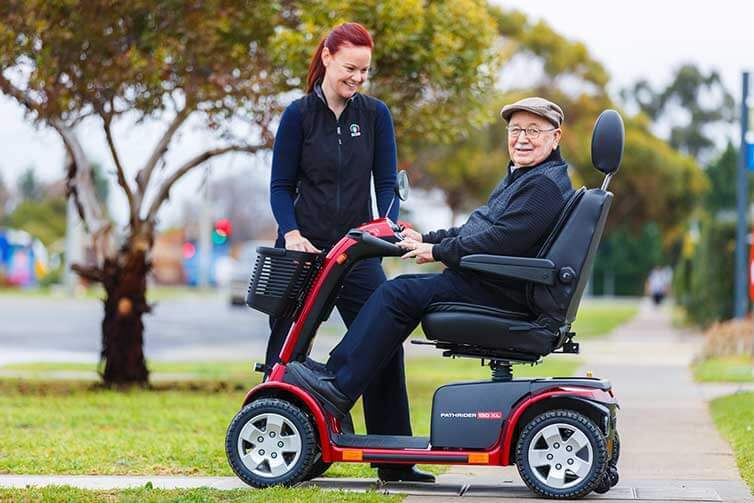 We offer aged care services at our H&L Hecht Adult Day Activity Centre, at 5 Johns Street, Mildura, and several of our other services offer in-home care to our clients. Having the majority of our services at one place means that SCHS can offer fast service that meets the needs of clients and the community. Together, the 150 people employed at SCHS help provide safe and comfortable healthcare. We know how to take care of your health, with skilled professionals from the best health facilities you will find.